Mr. Nicholson is a former state and federal prosecutor with extensive experience in healthcare compliance, white collar, and regulatory enforcement matters. He has over 25 years experience and is a frequent instructor and lecturer on federal and state enforcement matters relating to the healthcare industry, the False Claims Act and white collar criminal defense matters. Mr. Nicholson concentrates his practice on representing licensed professionals and other healthcare providers in all phases of administrative, civil and criminal health care regulatory matters. Mr. Nicholson represents clients before licensing boards; before federal regulatory agencies such as HHS, DEA, and FDA; in state criminal investigations; and in federal grand jury investigations. He also represents professionals and entities in all regulated industries in federal and state white collar criminal matters. Mr. Nicholson is an accomplished trial attorney, having tried numerous cases in state and federal courts, as well as before administrative agencies. Mr. Nicholson also represents healthcare providers in civil litigation relating to health care and related commercial litigation matters. 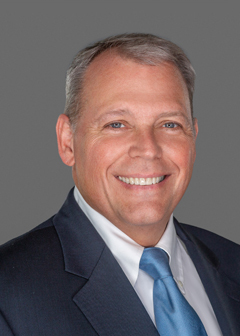 Before entering private practice, Mr. Nicholson practiced law in South Florida as an Assistant United States Attorney. During his last 10 years with the United States Attorneys Office, he prosecuted health care fraud, False Claims Act, drug diversion and FDA regulatory cases. Mr. Nicholson was twice selected to serve as the national Healthcare Fraud Coordinator and national Affirmative Civil Enforcement Coordinator at the Executive Office for United States Attorneys. Mr. Nicholson is an Adjunct Professor of Law teaching Health Care Fraud and Abuse and is a regular speaker at conferences on healthcare fraud, False Claims Act, drug diversion and FDA enforcement matters, and he has published multiple articles and guides on these topics as well. Additionally, Mr. Nicholson is frequently quoted in healthcare industry professional and trade journals. Mr. Nicholson is a High Honors graduate from The Florida State University College of Law, where he also served on the Law Review staff. Mr. Nicholson was Co-Chair of the Enforcement Committee of the American Health Lawyers Association Fraud and Abuse Practice Group. Mr. Nicholson previously served a member of the Executive Council of the Health Law Section of the Florida Bar for 4 years. Mr. Nicholson has received an attorney rating of “Superb,” the highest rating possible from AVVO. Mr. Nicholson has been recognized by SuperLawyers since 2014. Mr. Nicholson has also inducted into the National Association of Distinguished Counsel which recognizes the “Top 1% of Attorneys” nationally. Additionally, Mr. Nicholson was recently named to the Florida Trend Magazine list of Legal Elite. Prior to founding Nicholson & Eastin, LLP., Mr. Nicholson was Of Counsel to a large law firm which specialized in health law matters. Mr. Nicholson is also an Instrument Rated Private Pilot. Panel Presentation on Fundamentals of Controlled Substances Regulations: DEA, FDA and State Laws American Conference Institutes Controlled Substances Conference Washington, D.C., January 15, 2014. Panel Presentation on Medical Necessity Determinations and Defenses American Health Lawyers Association Fraud and Compliance Conference 2013 Baltimore, Maryland, September 30, 2013. Presentation on Health Care Enforcement and Compliance Issue: Enforcement Issues for Physicians Florida Orthopedic Society and Bones Society of Florida 2013 Annual Conference Bonita Springs, Florida, September 21, 2013. Presentation on Medicare and Medicaid Coding and Compliance Issues: Laws and Rules – Avoiding Issues with Medicare – Palm Beach County Podiatric Society “Toes in the Sand” Conference 2013 – Eau Resort, Manalapan, Florida, August 23, 2013. Presentation on Fraud, Quality of Care, and Program Integrity: The Impact of Health Care Reform in Fraud Enforcement and Compliance – American Board of Quality Assurance and Utilization Review Physicians, ABQAURP’s Annual Health Care Quality and Patient Safety Conference, Lake Buena Vista, Florida, October 23, 2010. Panel Speaker – Compliance Issues Under the Food, Drug and Cosmetics Act for Pharmaceutical and Medical Device Organizations. Health Care Compliance Association Compliance Institute, Las Vegas, Nevada, April 27, 2009. Panel Speaker – Establishing Best Practices for Effective Fraud Prevention and Investigation. Corporate Fraud Audit and Investigations, Marcus Evans Conferences, Miami, Florida, December 8, 2008. Panel Speaker – Trial Demonstration Panel – United States v. Bernard Graves, et al.- Health Care Fraud 2008, American Bar Association, Fort Lauderdale, Florida, May 15, 2008. Panel Speaker – Handling a Healthcare Fraud Investigation/ External and Internal Investigations – Health Care Compliance Association, Compliance Institute. New Orleans, LA, April 14, 2008. Panel Speaker – False Claims Litigation in Florida– Lorman Education Services. Miami, Florida, October 31, 2007. Panel Speaker – Healthcare Fraud and Abuse: A Prosecutor’s Perspective – National Summit on Quality/Performance Management & Compliance in Healthcare. Comprehensive Health Solutions, Inc., Orlando, Florida, January 21, 2007. Panel Speaker – The Range of Government Investigations – Government Investigations Conference, IQPC, Arlington, Virginia, October 25, 2006. Panel Speaker – Frequently Asked Legal Questions. Federal Bureau of Investigation, Health Care Fraud Managers Conference, Las Vegas, Nevada, August 9, 2006. Panel Speaker – Law Enforcement Perspectives Panel – Electronic Prescriptions for Controlled Substances, Drug Enforcement Administration and Department of Health and Human Services Public Meeting, Arlington, Virginia, July 12, 2006. Panel Speaker – Foundations of White Collar Practice and Handling A Health Care Fraud Case. Health Care Fraud 2006 American Bar Association, Fort Lauderdale, Florida, May 17-19, 2006. Panel Speaker – Negotiating False Claims Act Settlements. Health Care Fraud 2006 American Bar Association, Fort Lauderdale, Florida, May 17-19, 2006. Panel Speaker – Preservation of Assets in Health Care Fraud Cases. Health Care Fraud Coordinator’s Conference, Department of Justice National Advocacy Center, Columbia, South Carolina, February 2, 2006. Panel Speaker – Medicare Fraud Update. Florida Medical Compliance Summit, Fort Lauderdale, Florida, November 3, 2005. Presentation – Who’s Who in Health Care Fraud Enforcement. Basic Health Care Fraud For New Assistant United States Attorneys Seminar, Department of Justice National Advocacy Center,Columbia, South Carolina, August 24, 2005. Presentation – Criminal Diversion Investigations. Internet Pharmacy and Controlled Substance Pharmaceutical Diversion Prosecution Seminar, Department of Justice National Advocacy Center, Columbia, South Carolina, July 6, 2005. Presentation – Health Care Fraud – What Health Care Providers Need to Know. Southern Association of Therapeutic Radiation Oncology Conference, Tampa, Florida, April 22, 2005. Panel Speaker – Investigation of Diversion Cases – A Panel Discussion, Prosecuting Illegal Distribution and Dispensing of Pharmaceutical Controlled Substances. DEA and DOJ joint training, Washington, D.C., January 25, 2005. Presentation – Private Payers SIU Operations and Law Enforcement Cooperation in HCF Enforcement. Decision Health Private Payer Summit, Las Vegas, Nevada, January 21, 2005. Presentation on Federal Civil and Criminal Enforcement Actions and Mechanisms, Medicare Fraud and Abuse: Avoiding Government Sanctions. Florida Radiological Society Annual Conference, Fort Lauderdale, Florida, July 11, 2004. Presentation on Federal Civil and Criminal Health Care Fraud Statutes and Enforcement Presentation on Medical Records Privacy and Ethics. Financial Investigations Seminar Federal Law Enforcement Training Center, Orlando, Florida, June 15-16, 2004. Presentation on Prosecutor’s Perspective on Electronic Evidence and Courtroom Presentation. Federal Law Enforcement Training Center, Case Organization and Presentation Training Program, Brunswick, Georgia, May 17, 2004. Presentation – Who’s Who in Health Care Fraud Enforcement. Presentation – Overview of Criminal Statutes and Charging Decisions. Panelist – Health Care Fraud Hypothetical. Basic Health Care Fraud For New Assistant United States Attorneys Seminar Department of Justice National Advocacy Center, Columbia, South Carolina, April 28-30, 2004. Presentation on Federal Civil and Criminal Health Care Fraud Statutes and Enforcement. Department of Health and Human Services, Office of Inspector General, New Agent Training, Clearwater, Florida, March 23, 2004. Presentation on Prosecutor’s Perspective on Electronic Evidence and Courtroom Presentation. Federal Law Enforcement Training Center, Case Organization and Presentation Training Program, Brunswick, Georgia, March 22, 2004. Presentation on Federal Civil and Criminal Health Care Fraud Statutes and Enforcement. Department of Health and Human Services, Office of Inspector General, New Agent Training, Clearwater, Florida, March 10, 2004. Presentation on Emerging Issues in Pharmaceutical Fraud. American Health Lawyers Association, Physician Issues Conference, Hollywood, Florida, February 17, 2004. Presentation on Federal Civil and Criminal, Health Care Fraud Statutes and Enforcement, Presentation on Medical Records Privacy and Ethics. Financial Investigations Seminar, Federal Law Enforcement Training Center, Brunswick, Georgia,February 3-4, 2004. Presentation – How the Government and Private Payers Work Together. Compliance Officer Summit, Medicare Complaint Alert, Las Vegas, Nevada, January 15, 2004. Presentation – How the Government Decides What And Who to Prosecute. Florida Medical Compliance Summit, Fort Lauderdale, Florida, October 27, 2003. Presentation – Electronic Courtroom Presentation. Federal Bureau of Investigation, Health Care Fraud Managers Conference, San Diego, California, August 7, 2003. Panel Speaker – Anti-kickback and Stark Law Enforcement, Panelist – Medicare Fraud and Abuse Issues. Addressing Medical Issues National Conference Pinellas County Osteopathic Medical Society, Las Vegas, Nevada, June 9-10, 2003. Workshop Facilitator – Affirmative Responses to Government Investigations, Grand Jury Investigations, and Search Warrants, Workshop Facilitator – Commercial Insurance Fraud. Health Care Fraud 2003 American Bar Association, Las Vegas, Nevada, May 15-16, 2003. Guest Lecturer on Federal Health Care Fraud Enforcement. St. Thomas University, Graduate Management Fraud Seminar, Miami, Florida, January 10, 2003. Presentation – Health Care Fraud – What Health Care Providers Need to Know. Florida Medical Compliance Summit,Fort Lauderdale, Florida, October 25, 2002. Presentation on Federal Civil and Criminal Health Care Fraud Statutes and Enforcement. Department of Health and Human Services, Office of Inspector General, New Agent Training, Clearwater, Florida, August 6, 2002. Presentation on Federal Civil and Criminal Health Care Fraud Statutes and Enforcement. Financial Investigations Seminar, National Advocacy Center, Columbia, South Carolina, July 19-20, 2002. Panelist and Presenter on Prescription Drug Diversion Investigations. Special Topics in Health Care Fraud Seminar, Department of Justice National Advocacy Center, Columbia, South Carolina, July 17, 2002. Presentation on Federal Civil and Criminal Health Care Fraud Statutes and Enforcement. Department of Health and Human Services, Office of Inspector General New Agent Training, Clearwater, Florida, July 16, 2002. Panel Speaker on Enforcement Agenda 2002. Health Care Fraud 2002, American Bar Association, San Francisco, California, May 16, 2002. Presentation – Health Care Fraud – What Health Care Providers Need to Know. Southern Association of Therapeutic Radiation Oncology Conference, Atlanta, Georgia, May 3, 2002. Panel Speaker on the Food, Drug and Cosmetic Act and Health Care Fraud. Food and Drug Law Institute Annual Education Conference, Washington, D.C., April 16, 2002. Presented Update on Federal Health Care Fraud Enforcement Actions. National Medicaid Fraud Control Units Directors Conference, Washington, D.C., March 19, 2002. Presentation on Federal Civil and Criminal Health Care Fraud Statutes and Enforcement. Financial Investigations Seminar, Department of Justice National Advocacy Center, Columbia, South Carolina, February 5-6, 2002. Presentation on Federal Civil and Criminal Health Care Fraud Statutes and Enforcement. Department of Health and Human Services, Office of Inspector General New Agent Training, Clearwater, Florida, January 29, 2002. Presentation on Federal Civil and Criminal Health Care Fraud Statutes and Enforcement. Financial Investigations Seminar, Department of Justice National Advocacy Center, Columbia, South Carolina, January 8 -9, 2002. Course Development Working Group and Faculty Member. Health Care Fraud Symposium, Department of Justice National Advocacy Center, Columbia, South Carolina, December 4-5, 2001. Presentation on Federal and State Health Care Fraud Enforcement Efforts and Tools. HIPDB Workshop – A Tool For Law Enforcement, Department of Health and Human Services, Rockville, Maryland, October 19, 2001. Presentation on Federal Civil and Criminal Health Care Fraud Statutes and Enforcement. Financial Investigations Seminar, Federal Law Enforcement Training Center,Boston, Massachusetts, October 16 -17, 2001. Presentation on Federal Civil and Criminal Health Care Fraud Statutes and Enforcement. Department of Health and Human Services, Office of Inspector General New Agent Training, Clearwater, Florida, August 2001. Guest Lecturer on Federal Health Care Fraud Enforcement. St. Thomas University, Graduate Management Fraud Seminar, Miami, Florida, January 2001. Presentation on Federal Criminal Statutory Overview. Health Care Fraud 2000 South Florida Health Care Fraud Training and Support Center, Miramar, Florida, November 2000. Presentation on Criminal/Civil/Administrative Parallel Proceedings. Health Care Fraud Seminar, Department of Justice National Advocacy Center, Columbia, South Carolina, August 2000. Workshop Facilitator – Grand Jury Investigations and Search Warrants. Health Care Fraud 1999, American Bar Association, Miami Beach, Florida, May 1999. OIG Workplan Summary. American Health Lawyers Association. Editor, 2012; Section author 2011 and 2010. November 2000, August 2001, January 2002, July 2002, March 2004 and August 2005.